Sales/Marketing Representatives Michael Brady and Jacey Ingham attended the 5th Annual Enterprise Golf Tournament as hole sponsors. Michael and Jacey handed out refreshments and snacks to players in the tournament. This years golf tournament proceeds were donated to Boys' Haven of America, Inc. SERVPRO is proud to support our Golden Triangle Community! Here at SERVPRO of Orange/Nederland/Lumberton we value our family and community. This year we decided to collect canned goods for Thanksgiving in an effort to give back. Alone, our staff collected over 100 canned goods. In turn, we matched what our staff collected and in total we were able to donate over 200 canned goods to the Southeast Texas Food Bank. We are extremely blessed and wanted to use what we have been given to help give back to the community. SERVPRO of Orange/Nederland/Lumberton sponsored a booth at the 2014 Gift of Life Color Run, The Gift of Life's mission is to be an educational outreach that focuses on breast, prostate, testicular, ovarian and other gynecological cancers. SERVPRO of Orange/Nederland/Lumberton supporting their local schools and giving back to the Lumberton Community. 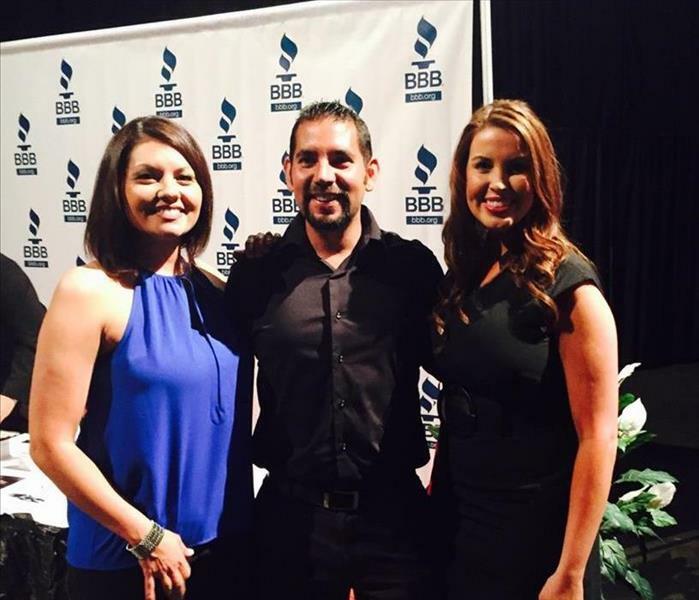 SERVPRO of Orange/Nederland/Lumberton attended the 2015 Better Business Bureau Torch Awards to see one of our referral sources win small business of the year! 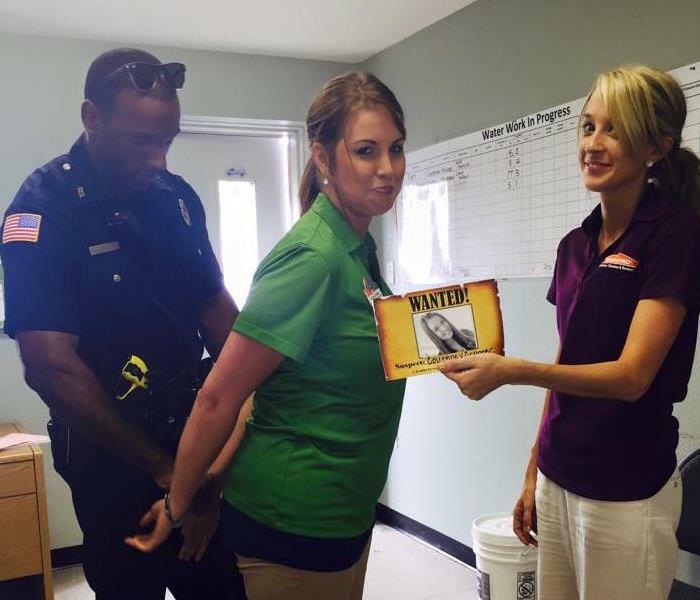 SERVPRO of Orange/Nederland/Lumberton Sales/Marketing Representative Courtney Cropper volunteered her time to be locked up to raise money for MDA. We are very proud to say she raised $1700.00 in just a couple hours! SERVPRO of Orange/Nederland/Lumberton participated in the 2014 American Heart Association walk that was held in Beaumont, TX. SERVPRO of Orange/Nederland/Lumberton had the pleasure of being represented at the Germania Insurance customer appreciation & annual report meeting.